Melodrama seems to be a major theme in The Lemon Twigs’ latest release, Go To School. Featuring both their parents, Michael and Brian D’Addario’s latest release is 16 tracks of whimsy and drama in under an hour. With obvious influence from the brothers’ roots in Broadway theatre and acting, the opening track to the album resonates with the Neil Young end of classic rock more than their previous Rolling Stones direction. Songs like “The Student Becomes The Teacher,” connects the Pitchfork-reviewed, Do Hollywood Lemon Twigs sound with this new, orchestral, and voice-oriented rock and roll. Like other contemporary revivalists such as Foxygen and Of Montreal, the band doesn’t seem to be in any way short of material. The duo’s DIY approach is inspired by these and other artists. Go To School, was written and recorded independently, from their Long Island home, the album features multi-instrumentalist and bedroom rock inspiration, Todd Rundgren. By far the most interesting song on the album, “Small Victories” bares a melody reminiscent of Elliott Smith’s full band work on From a Basement on a Hill record, picks up to a folk-y section featuring twangy banjo, and then digresses back to moodiness. Orchestral songs like “The Lesson,” and “Wondering Ways,” truly remind you that the duo intended for this piece to be a musical, with crazy climbing vocal melodies. Although listeners may feel tempted to make snap judgements on Lemon Twigs songs, their fragmental and complicated style helps to characterize emotional segments. It is perhaps the nature of the album being entirely impersonal that makes it seem so disingenuous. The Lemon Twigs toyed with archetypes that the brothers, according to Michael in an interview with Billboard Magazine, “don’t relate to… personally.” “The Fire,” is a six-minute journey that attempts to channel Bowie, among other influences. Lines like, “You can really feel his pain,” as the school is engulfed in flames while a chorus of “sha na na na” repeats just starts to feel cheesy after multiple listens. 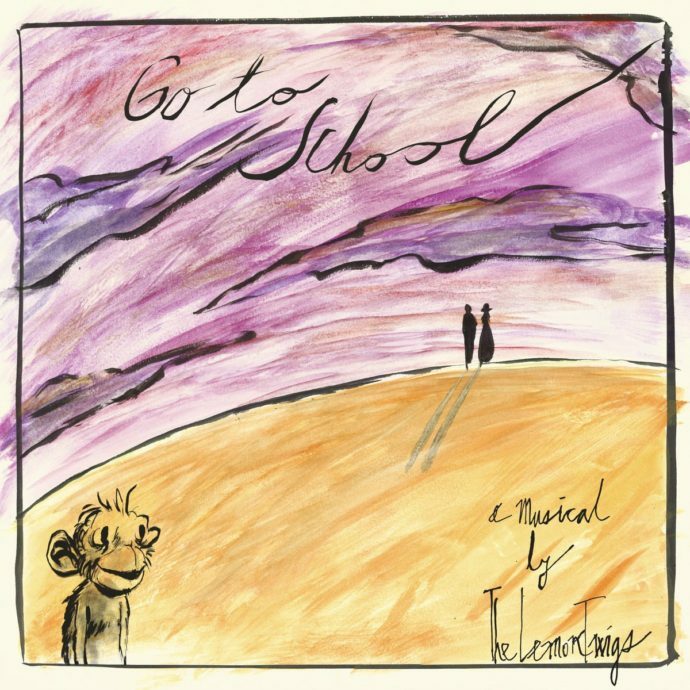 Go To School left me feeling the same way most rock operas do, save for Tommy – never truly satisfied in regards of rock music, or of musicals either. While the piece can be revered for its unapologetically fun attitude, it didn’t stand up to the equally fun, “Do Hollywood” intellectually.